I finally pulled my valve cover off today to check. I have an appointment with the guys at Gran Turismo in Portland to get my chassis resealed for the second time since I still have water pouring into the footwell area when I drive in the rain. For those with some miles on your car and still have good cams (original issue), do you warm up your car to full operating temps before high lift or do you hit high lift the second the temps show on the dash? There are no ridges or rough edges or flat spots. Rockers are fine. We've got over 50,000 and I hammer it whenever I can. When it is cold outside it registers 159 about 30 seconds before I run it to red line in 2nd, 3rd, and sometimes 4th. I may have to bring that over to look at sometime. It might be interesting to compare the engines. To do that I need to get it back from the bodyshop. FWIW, ours is also an early 05 build. Last edited by jlj3394; 10-21-2008 at 04:34 AM. Bingo, Phil. I think the oil temp theory is on the money. On some of the other high perf. 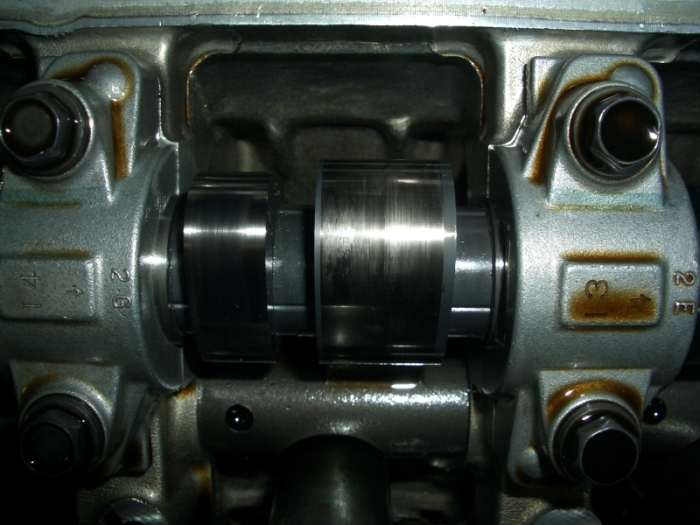 car forums, oil temp is frequently implicated in rocker failure and wiped cams. On the C6 Z06 (LS7) engine, the conventional wisdom is to never expose the car to high revs until you see over 150F on oil temps, and and it has an oil temp gauge. Oil temp lags way behind water temp, especially in an oil cooler-equipped car. On my Z06, I never nailed it until I saw 180F oil temps, which can take a bit of time in an oil cooler-equipped car. In my very early 05 Elise (#369), I don't get near 7000 until I've run a good 20-30 minutes. In my Audi RS4, there is a message on the panel that warns against anything over 7K RPMs until it reaches a certain oil temp. I've never had a problem on a high-lift cam, and I'm convinced proper oil temps are a very important preventative measure in this regard. It's hard to push enough oil to that part of the engine when the viscosity is low at colder temps. I never got over 4000rpm until the water temp guage was showing at least 180F, then restricted myself to 6000 for another couple of minutes at least. 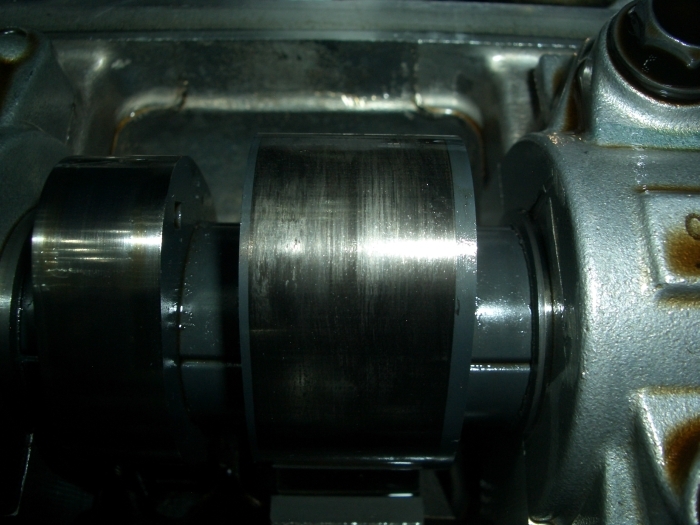 Result: Bad cam and broken rocker. We're just theorizing here, but another "couple of minutes" after you saw 180F probably isn't enough to get you over 150F on the oil temp. As I was trying to illustrate with my Z06 example. It often took 15 minutes or more to get there AFTER I saw 194+ coolant temps. I could drive 40 minutes to work on the highway and NEVER get there on a cold day. I don't have any data on the 2ZZ Lotus application due to the lack of an oil temp gauge. Ironically, oil coolers aren't necessarily your friend in cars that see primarily street duty and short trips. Many people would be better off disconnecting them, because they'd get the oil up to temp faster for the type of driving people do on the street. Dave, from the pictures above, I swear your nether-regions look the exact same as mine. I feel much better now! That's not entirely true. First of all, you can run it off the stock ECU. Second of all, Kverges is a turbocharged Lotus owner running off the emanage ultimate piggyback ECU, and dustylax's current rotrex project is expected to be run off a piggyback ECU as well. The emanage ultimate can be ordered for about $540, and the AEM F/IC can be had for around $395. As you can see, it seems that fuel and ignition timing should be dialed in first before dynoing all the different loads of VVT-i settings, and mixing together all the settings at different RPM breakpoints that provide the most power. So whether you use the Power Enterprise CAMCON VVT-i piggyback ECU or the V-manage (which can also allow you to lower LIFT), the process will be the same. So technically you can tune for all the gains you want with a Boosted2.0 Ported Head + MWR Upgraded Head Parts + Piper Stage 3 Cam setup without spending all that money on the EFI. I'd love to see a before and after dyno of one setup tuned on the Greddy Emanage Ultimate/AEM FIC + Greddy V-manage versus a standalone ECU tune. I will be using the v-manage in the near future since I bought the unit jlitman was going to use. I'm just waiting for my friend to fix his tire, recharge his dead battery, and bring his greddy supercharged car over for the parts swap process and turn his car back to stock. Hopefully, I'll post up some nice, cheap, non-standalone ECU, OBD-II compliant dynos that's tuned on the greddy emanage ultimate + v-manage piggyback ECUs...which should work on your cars based on the fact that kverges is still driving around his turbo'd Elise on the greddy emanage ultimate. In my discussions with them, Lotus dismissed that could not contribute to the failures since the holes are 'only 5mm away from the cam'. I spoke with Nick Adams at the LOG in Colorado a year ago. while looking at the 2-Eleven, I asked about the oil accumulator (accusump) and the oil cooler thermostat sandwich plate. He said both were a good upgrade for and Elise (and also my Esprit). And the thermostat was almost necessary in a car driven in the cold. I'm actually putting a Mocal (MOCTB3) oil cooler thermostat sandwich plate in my Esprit to help oil temps come up faster (82C) in all conditions. I'm glad it worked out. Thank goodness there's still some good, honest people out there. With the clam on, the rocker shaft can be slid out far enough (usually doesn't wear so no need to remove it) to remove all the rockers. The only thing that has to be moved is the coolant reservoir which would have to be moved whether the clam was in place or not. The only thing that gets in the way is the frame tube behind the coolant reservoir mount so if for some reason you need to remove the rocker shaft, you will have to remove the motor mounts to shift the engine to gain clearance. All the rockers should be replaced when a new cam is installed (they come with the cam as a set when you purchase a cam) or you will not get the proper wear in between the parts. Both the cam and rockers can be replaced with the clam in position and the engine lid removed--it really isn't that hard to do, but obviously, your tilting clam set up is the way to go for performing any work on the engine! If anyone needs the particulars on the procedure to do the cam and rockers with the clam in place, feel free to PM me. Last edited by tesprit; 10-22-2008 at 03:26 PM. Oil temp lags way behind water temp, especially in an oil cooler-equipped car. I was under the impression that most/all street car oil coolers had a thermostat mechanism in them to assist in getting the oil up to temp when it's cold, and that the oil/water heat exchangers actually act to assist in heating the oil when it's cold, because as you've said, the oil temp usually lags behind the water temps..
Am i mistaken by believing this?